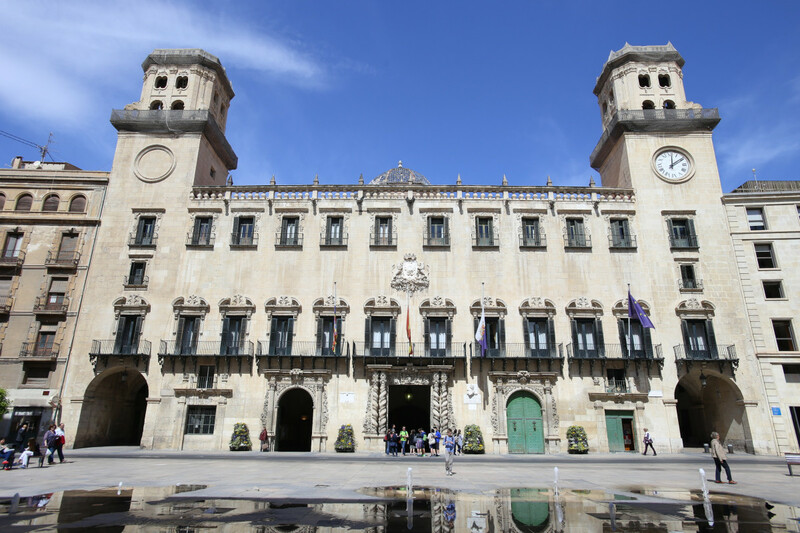 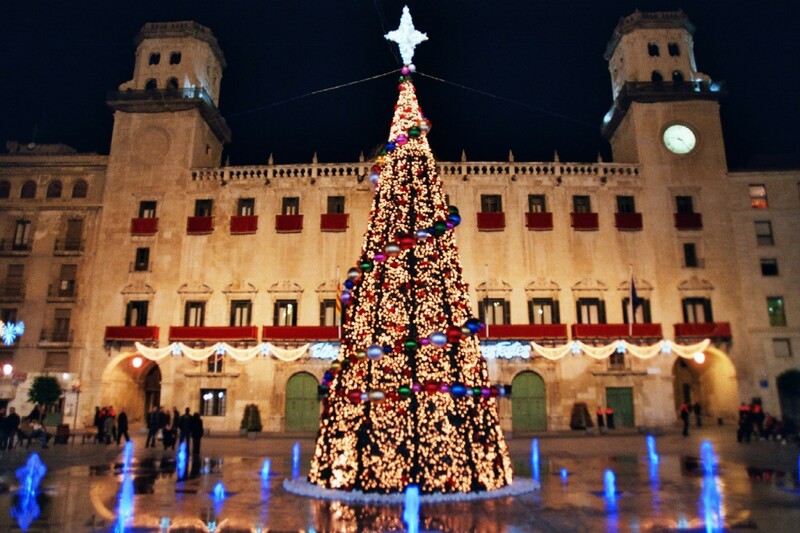 This baroque work of civil architectonics was designed by architect Lorenzo Chápuli and built on the site of the former city hall in the 18th century.Visitors can admire its ornamental elements such as the barley-sugar columns on the facade or its two towers. 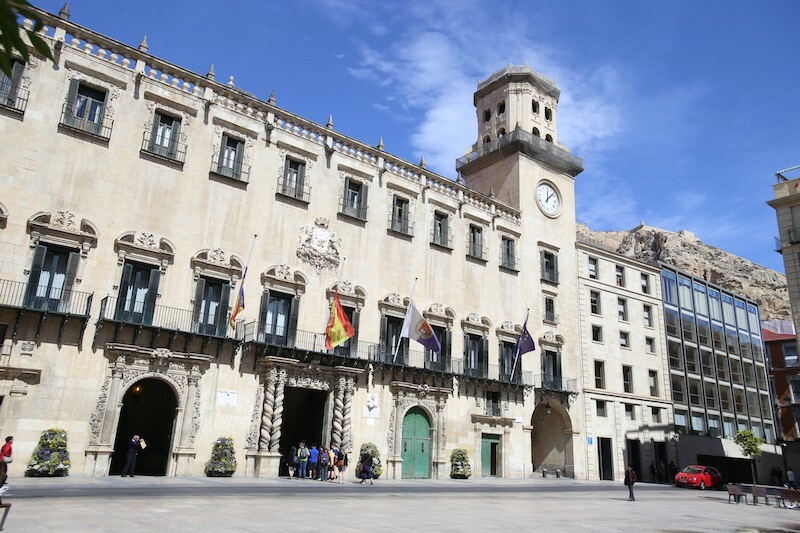 Inside there are several remarkable rooms such as the Salón Azul styled from the period of Spain’s Queen Isabel, the Salón de Plenos meeting hall and a chapel in which mass is held. 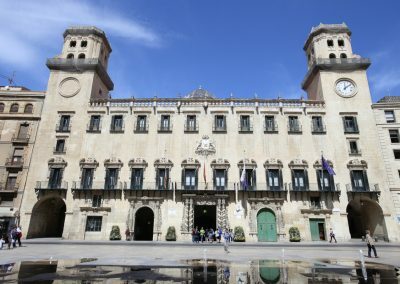 Throughout the various rooms in the building, visitors can admire interesting works by Padilla, Cabrera, Amorós and Alicante’s own Gastón Castelló. La ciudad descubierta "Alicante the city unveiled"
A modern building has recently been constructed alongside the Ayuntamiento. 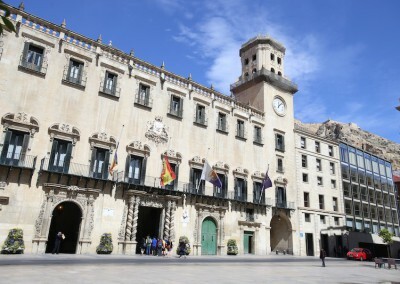 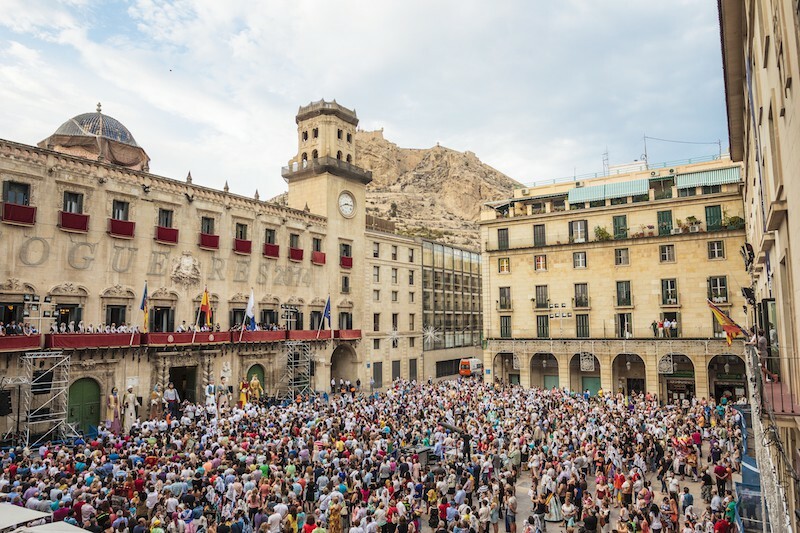 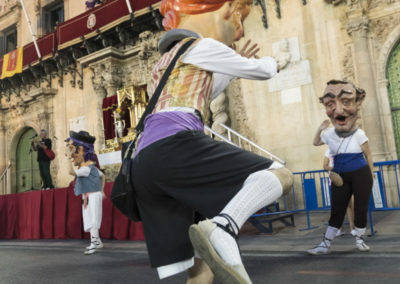 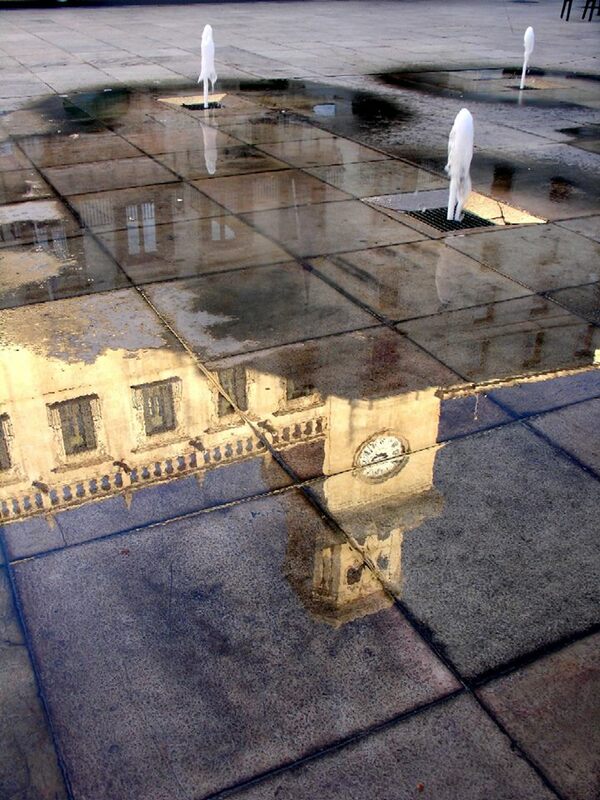 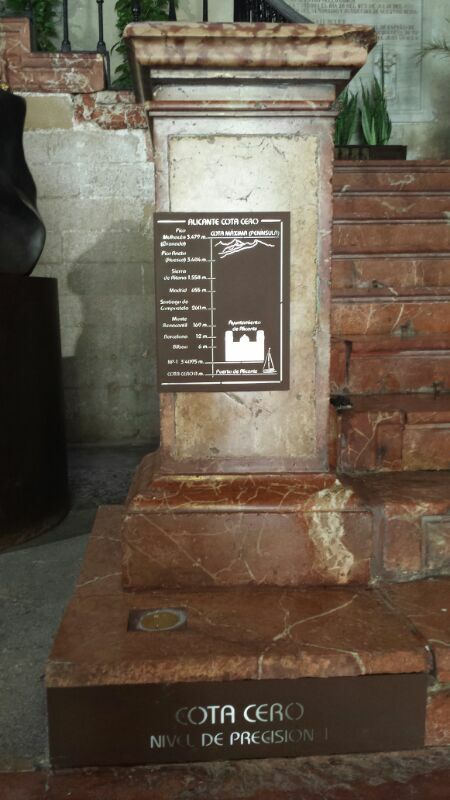 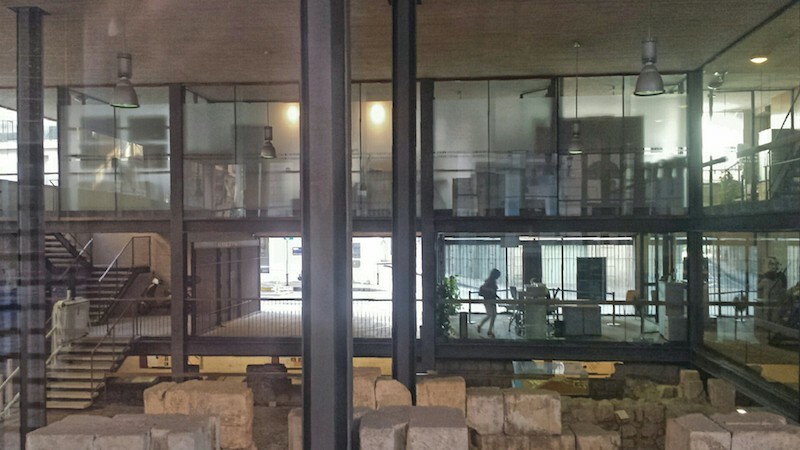 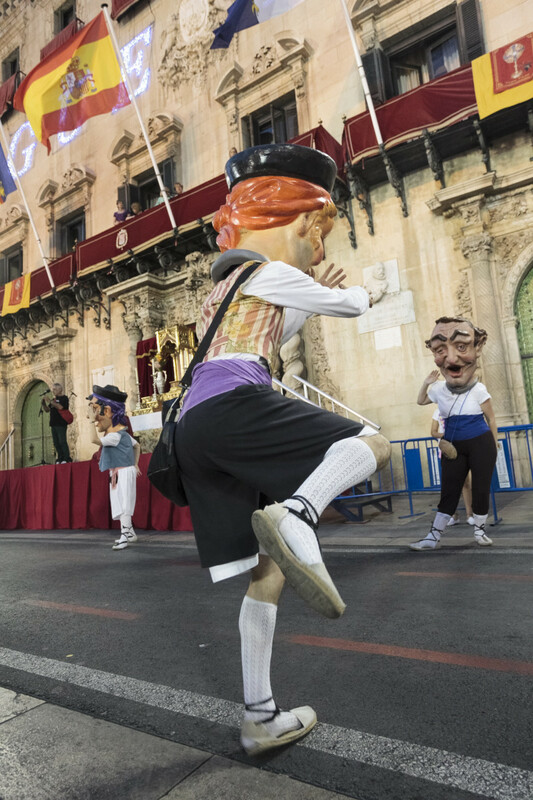 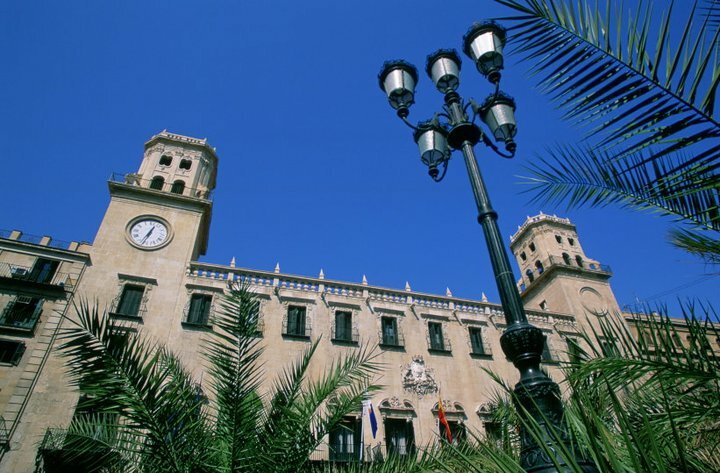 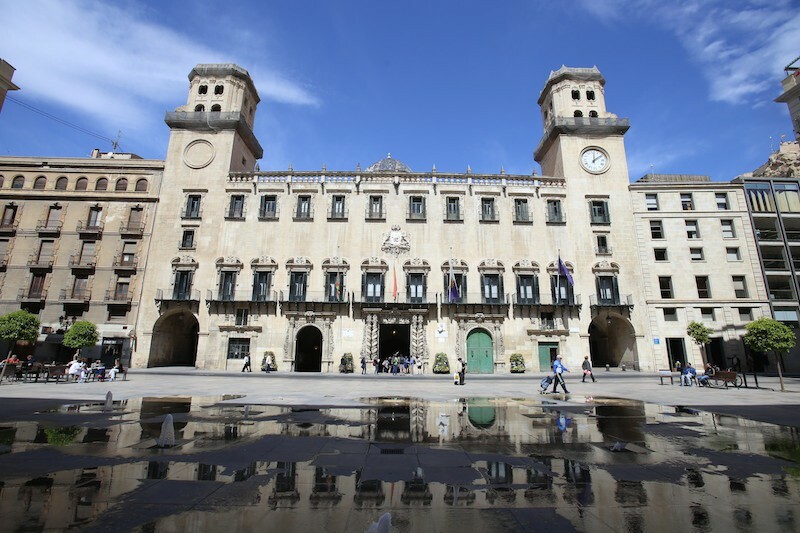 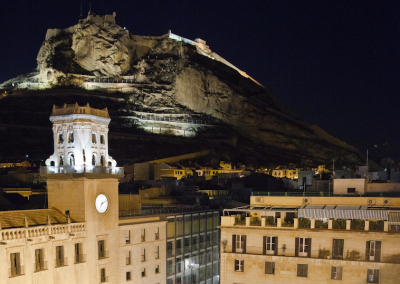 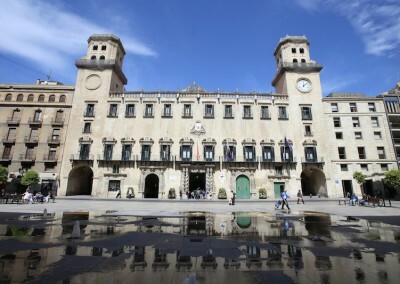 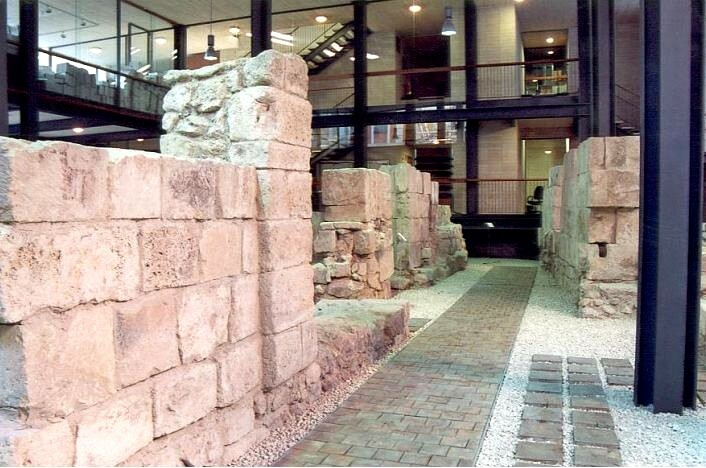 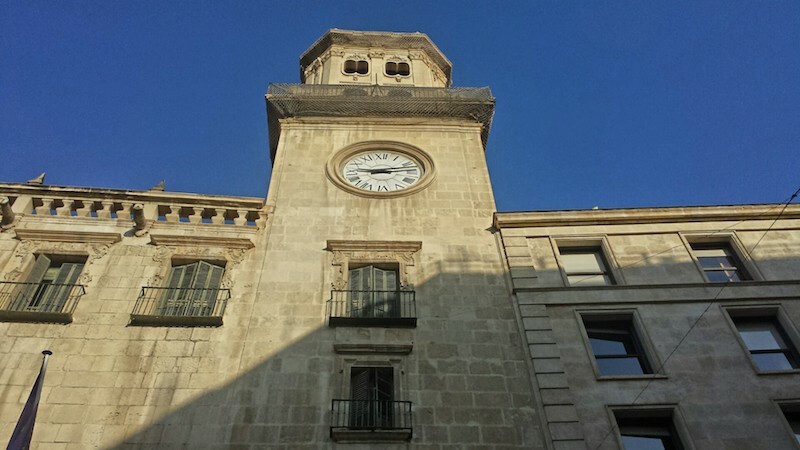 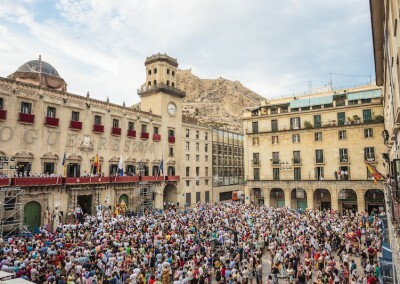 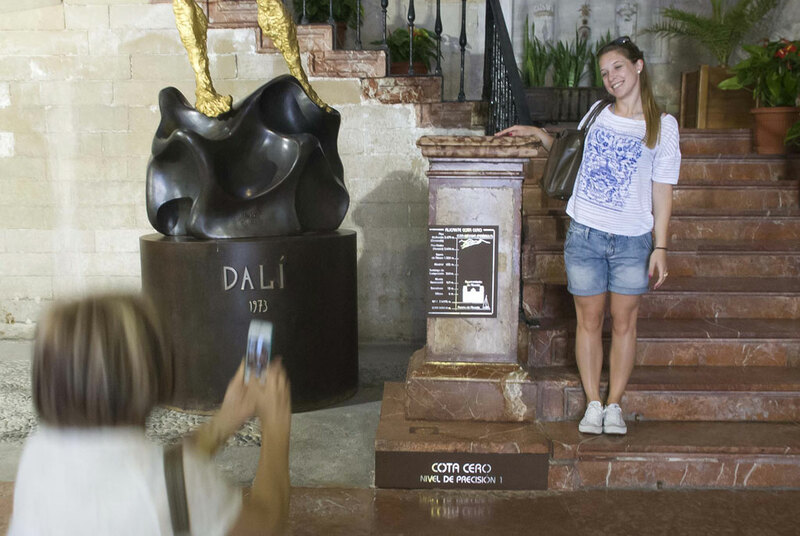 On the ground floor of these municipal premises, visitors can view the interesting archaeological remains on display under the heading of “Alicante, la ciudad descubierta” or “Alicante, the city unveiled”. 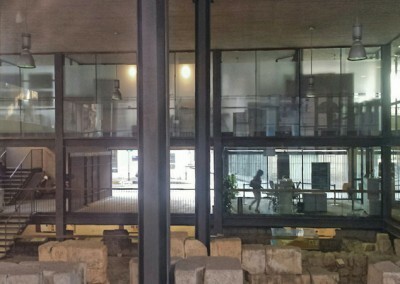 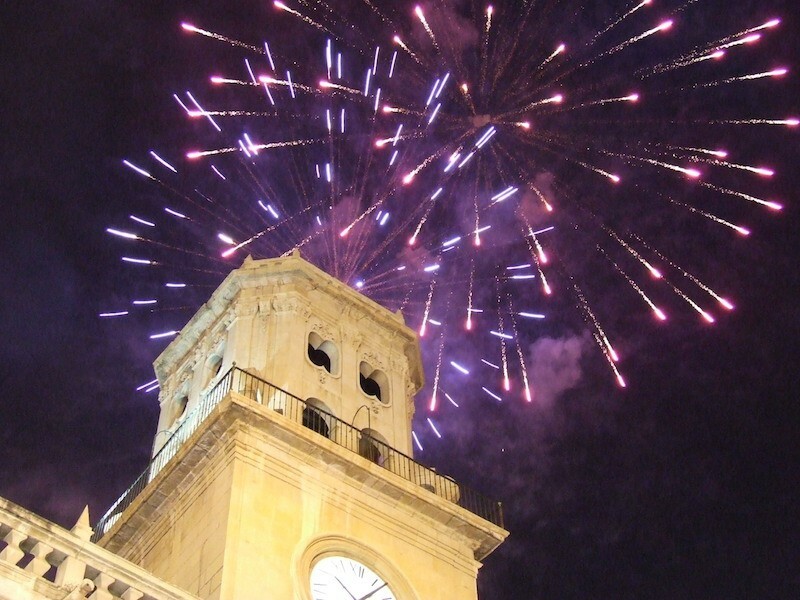 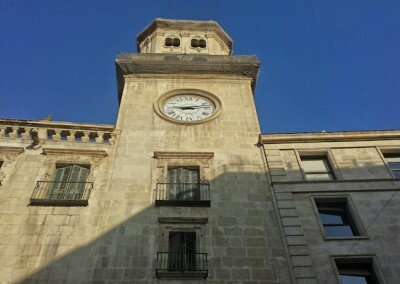 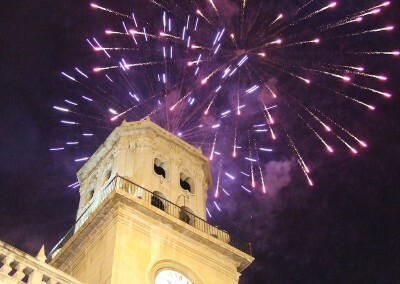 En el edificio anexo del Ayuntamiento de Alicante.